Sail the Seven Seas with this Sailor Bag! Hey ho hey ho, a sailor bag gift for you? 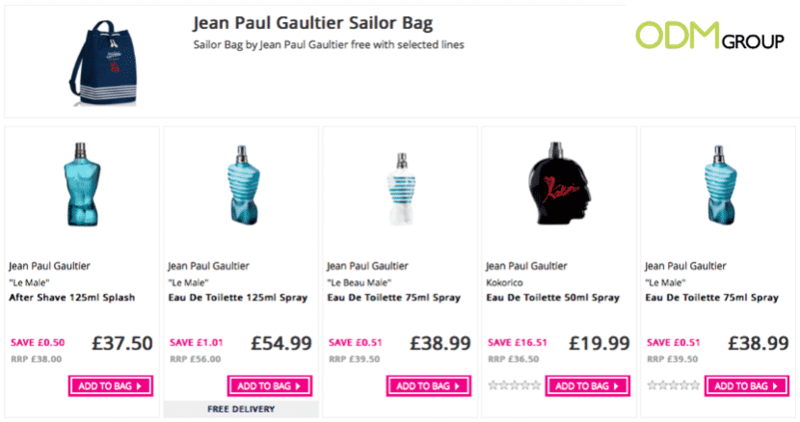 If you are interested in getting one for yourself, check out this offer by Jean Paul Gaultier at The Fragrance Shop. This is an interesting promotional gift, one that you rarely seen given out, so do not hesitate to get your hands on it now! Jean Paul Gaultier is a French fashion designer and past television presenter. His designs are one of the most talked about as they are unconventional and interesting. This has led to him being one of the most influential designers in the fashion world. What is a sailor bag? Over the years, the sailing industry has been revolutionized and so has the duffel bags that people bring with them. Instead of the old canvas bags, these new and improved sailor bags are designed with comfort and durability in mind, and most importantly, they are waterproof! This is perfect for sailing trips when the unpredictable currents toss waves into your boats and soak your items. Why is a sailor bag a good marketing gift? This sailor bag is a perfect gift with purchase because it is unique and different from all the gifts out there! This is sure to help your company stand out from the rest of your competitors! By distinguishing your brand from the rest, this gives you an edge over them! 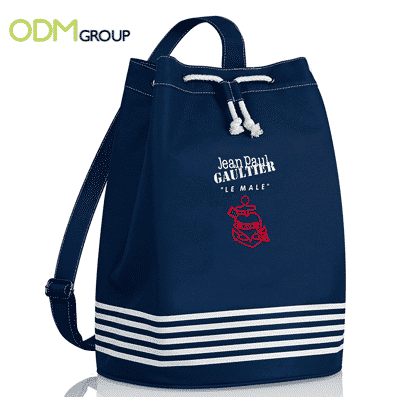 Sailing bags are also fully customizable and thus they will be suitable for any promotion that you are conducting. From customizing the design, color scheme and the material used to make the bag, you can make this promotion uniquely yours! Want to customize your very own promotional products? Contact us at ODM and get started on your very own custom promotions now!